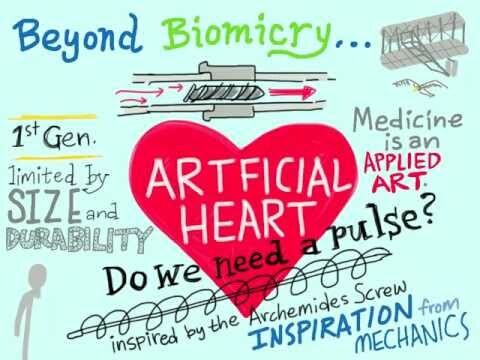 In April of 2012, I had the opportunity to pose a simple question to the TEDMED community: What if our healthcare system actually kept us healthy? This is a simple and universally shared aspiration –the idea that our healthcare system could prevent patients from getting sick in the first place, rather than only treating patients after they have fallen ill. But as is so often the case in healthcare, this can feel intractable. Addressing the root causes of poor health –for example, prescribing antibiotics to a pediatric patient only to find out she has no food at home or is living in a car—can feel overly expansive, complicated, and expensive. 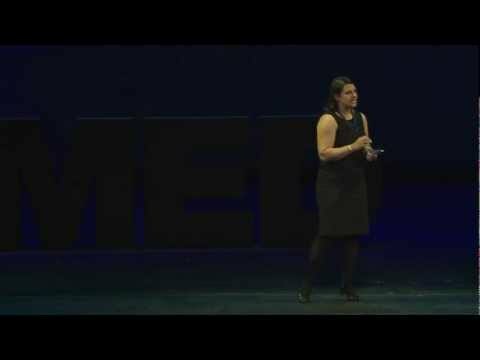 At TEDMED 2012, we sought to present a solution that is instead simple, effective, and cost-effective: in the clinics where Health Leads operates, physicians can prescribe healthy food, heat in the winter, and other basic resources patients need to be healthy, alongside prescriptions for medication. Patients then take those prescriptions to our desk in the clinic waiting room, where our corps of well-trained college student Advocates “fill” those prescriptions by working side-by-side with patients to connect them to the existing landscape of community resources. The response at TEDMED, as well as the continued demand that Health Leads has experienced since then, has been swift and unequivocal: over the past nine months, we have received expansion requests from more than 700 healthcare institutions that are urgently seeking solutions that will address their patients’ true health needs. This demand is symbolic of a much larger shift taking place within the healthcare market. The next 12 months, as we all know, will be an unprecedented moment of fluidity and possibility in healthcare. More than twenty million previously uninsured people will introduce complex social needs into the Medicaid system – in the face of a 21,000 physician shortage. Healthcare providers, accountable for delivering health outcomes in this challenging landscape, are compelled to pursue new care delivery models that account for the realities of patients’ lives. These providers – like Health Leads partner Nassau University Medical Center (NUMC)– are leading the way in demonstrating that it is indeed possible to address patients’ basic resource needs in a clinical setting. NUMC has fully integrated Health Leads into its pediatric outpatient operations – empowering doctors, nurses, and social workers there to ask their patients: Are you running out of food at the end of month? Are you worried about paying the electrical bill? If the answer is yes, those same providers can refer any patients in those clinics to Health Leads, just like any subspecialty referral – and our Advocates can provide real-time updates to the rest of the clinic team about whether or not a patient got the needed resource, yielding better informed clinical decisions. Furthermore, NUMC is just one of many institutions that are acknowledging the economic value of addressing patients’ social needs – two-thirds of Health Leads’ clinical partners cover all or some of the cost of our services. Shifting market trends in healthcare are providing increasing financial incentives for healthcare institutions to pay for models like Health Leads: for example, to achieve Patient-Centered Medical Home certification, institutions must show that they 1) maintain a current resource list on five topics of key community service areas of importance to the patient population and 2) track referrals to patients/families. Health Leads fulfills both of these basic requirements and also gives clinicians a fully built-out patient flow that is aligned with the design principles of a medical home: we are physically based in the clinic, available to patients with a referral from their primary care provider, and are incorporated as part of the greater care coordination team. The healthcare system is moving. Clinicians are demanding the ability to address all of the factors that prevent their patients from staying healthy. Patients expect to be able to speak with their doctor about the things that are making them sick in the first place –running out of food at the end of the month, or lack of electricity needed to keep their medicine refrigerated. And hospitals are allocating scarce budget dollars to address these needs. At long last, the healthcare system is grappling with the realities of patients’ lives. If we together act now to adopt practical, simple solutions that work, we can move at last from imagination to implementation. And we can create a new kind of healthcare – for patients, for doctors, and for all of us. Rebecca Onie is Co-Founder and CEO of Health Leads. Join a representative from Health Leads and other organizations for TEDMED’s online discussion about the social determinants of health this Thursday at 2 pm ET. Ask questions via Twitter #greatchallenges – we’ll answer as many as we can on air.